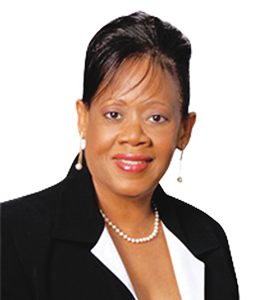 Dr. Dunn-Pierre is the Executive Director of Dunn, Pierre, Barnett & Company Ltd. and has over 30 years international experience in education and training. She is a graduate of the University of Sheffield, England, where she pursued Doctoral studies in Educational Administration. She is also a product of Ohio University in the United where she gained a Masters degree in Geography, Sociology and Statistical Research Methods. She is also a graduate of the University of the West Indies where she pursued her undergraduate degree in Economics and Geography (B.A. Hons.) as well as a Diploma in Education. Most recently she was the Executive Director of HEART Trust/NTA where she spent the last 17 years as the chief architect of the National Vocational Qualifications of Jamaica (NVQ-J), and was also instrumental in the design of the Caribbean Vocational Qualification (CVQ). An expert in competence-based education, training, assessment and certification, Dr. Dunn-Pierre, as a former Senior Director of the National Council on Technical and Vocational Education and Training (NCTVET) the quality assurance arm of HEART Trust/NTA, led that department to ISO 2001:9000 registration in Quality Management, the first of its kind in the English – speaking Caribbean. She spent six years as a Measurement Specialist at the Caribbean Examinations Council (CXC) in Barbados, during which time she studied at the University of Cambridge Local Examinations Syndicate (UCLES) to hone her skills in assessment and evaluation. An advocate of Life-Long-Learning, she has also pursued studies at the Royal Institute of Public Administration (Advanced Management in Government) and is a trained ISO Quality Management Auditor. As a workforce development expert, Dr. Dunn-Pierre has worked extensively across the Caribbean region with International Agencies, Ministries of Education and National Training Agencies. She has represented the region at several international conferences, delivered presentations and conducted workshops on the Regional Qualifications Framework, institutional development, quality assurance in TVET, training, assessment and certification and building capacity towards a competitive and productive regional workforce. Dr. Dunn-Pierre has conducted research and written on quality issues in TVET in small island states, regional workforce certification, and imperatives for regional workforce development. An accomplished writer, she has published a number of social studies textbooks, articles and related resource materials on competency based education and training.